AECWeekly is a news magazine featuring important industry news profiles, a summary of recently published AEC product and company news, customer wins, and coming events. Brought to you by AECCafe. AECWeekly examines select top news each week, picks out worthwhile reading from around the web, and special interest items you might not find elsewhere. This issue will feature Industry News, Top News of the Week, Alliances, Agreements, Acquisitions, Announcements, People, New Products, Around the Web and Upcoming Events. AECWeekly welcomes letters and feedback from readers, so let us know what you think. 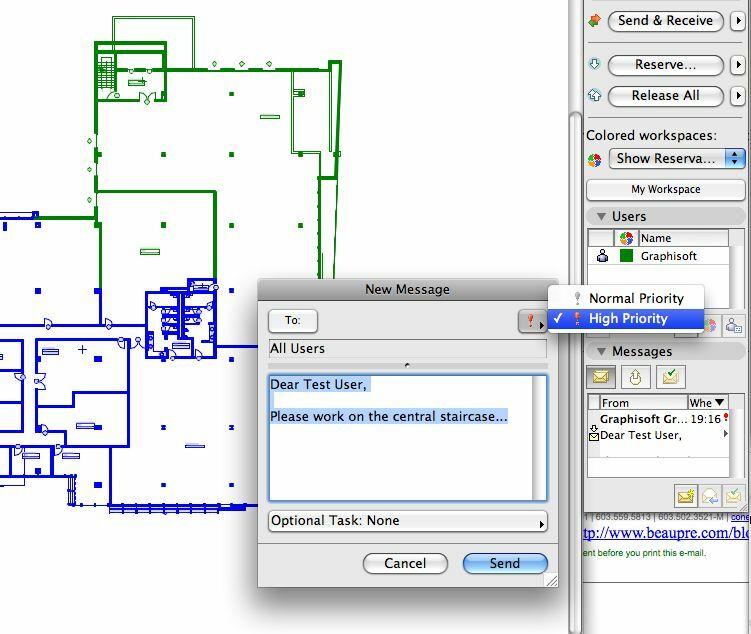 A new approach to managing workflow and collaboration issues with building information models (BIM) can be found in Graphisoft’s ArchiCAD 13 with Delta Server Technology. ArchiCAD really addresses productivity and collaboration in this release, with the advent of their BIM Server. Secondly, the release offers 64-bit support for Windows, which may now be a de facto standard among CAD software releases in support of memory-intensive BIM files. BIM design workflow has created a more complex work setting, since it’s necessary to break up the central model in order to collaborate on it. Current team work sharing offerings are file based which means client computers do data exchange and synchronization that can be neither fast nor flexible. With the introduction of BIM, teams had the benefit of coordination, but flexibility still presented a problem because the centralized files were so big. In recent years, the expectation that users will be online all the time has furthered the complications, because project members expect information immediately. 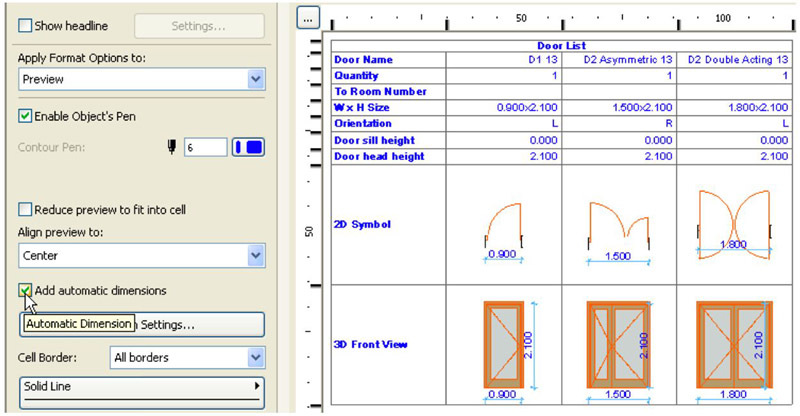 According to Akos Pfemeter, Graphisoft director of global marketing, data exchange can be changed from file-based to element-based, which allows users to exchange one wall, fill, line or slab. 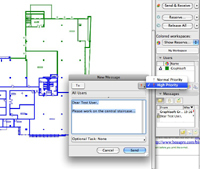 Client managed workflows need to be changed to a server managed workflow, “which makes it possible for synchronization to be simultaneous.” With the BIM Model Server based collaboration environment from Graphisoft, teams can have on-demand access rights management and project access to avoid bottlenecks and workflow management issues. “Only the changed elements go up and down from client to server, this update is going simultaneously so there is no queuing for synchronization and everyone can work at the same time and be connected at all times,” said Pfemeter. With this product, network traffic size is greatly reduced, thereby allowing users to join teamwork projects from the internet. They can participate from any computer which is connected to the internet without delay. Also they can participate from remote devices by wireless, which is good for being able to check on project status from a building site. For team members, the ability to allow more people to access the BIM database at the same time increases coordination and flexibility in the workflow, increasing productivity. The Graphisoft BIM Server is a database management system similar to other database systems which can be put on any computer. This includes a BIM project management application that allows all the BIM managers and CAD managers to manage all the projects in the BIM Server. The BIM Server can contain many projects, and an organization can store all their projects on it, plus run multiple BIM Servers simultaneously. It’s also possible to join different clients to different BIM Servers. In the demo, Pfemeter had two copies of ArchiCAD running which are both connected to the same BIM Server. In this view the test user can see elements that are reserved by the other user and what is the test user’s own elements indicated by highlighted colors (see image 1). If there is an overlap in workspaces or if the test user needs just one element, that user can reserve the element, or if it belongs to the other user, then the test user can implement what is called the “element regress and grant communication system.” A teamwork control panel has a messaging system so the test user can send messages to mates or can send requests and can highlight an element – “it’s a small chat app that comes up and I can say, please give that all to me.,” explained Pfemeter. “It will indicate whether something is mine or not, shows green when it is mine and is editable.” The system is both 2D and 3D. This same system can be used to assign tasks to other team members. With attributes such as layers, fills, wall types, etc., the user can go into the layer setting dialog and see an indicator that shows the layer attributes that are free for reservation. If the user wants to reserve it, it will change to green and indicate that it is editable. The Server application is standalone and has access to the BIM Server. It can manipulate all the projects and users on that server. Settings can be created for user roles, libraries and custom properties. There are four roles for users: lead architect, architect, draftsman and viewer roles. These users can be customized to the utmost detail, according to Pfemeter. There are no waiting times as everything happens online in a matter of seconds. The entire project can be duplicated in seconds, changes can be sent quickly and users can be online all the time. Small, medium and large firms can all benefit from the BIM Server. Small, one-architect firms will be able to use remote access to link to large projects. Small to medium-sized firms of 10-25 people have teams that are created and changed dynamically and three or four projects running at same time. The BIM Server makes it easy to assign new members to projects with its one-click project start – if the Server is up and running. Large firms have strict rules, workflows and procedures that benefit from dynamic and flexible access to a project. Also they can create strict, controlled workflows from different teams and have support from the software to set up their specific requirements. The project management and server side control over users, project and roles and remote access for firms with multiple locations are also pluses.